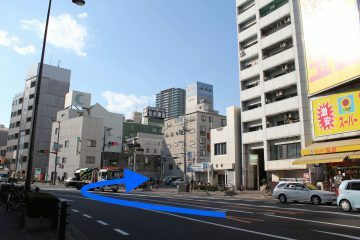 ＊Shin-Imamiya station has JR and Nankai Line. 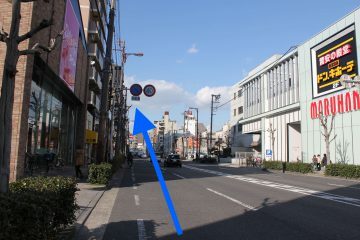 ＊12 min on foot from Shin-Imamiya station to our hostel. 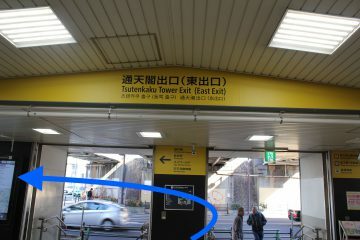 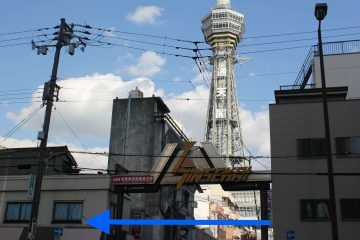 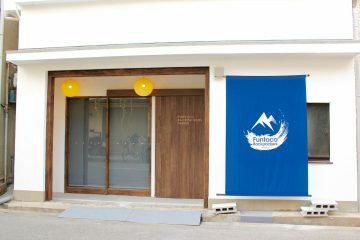 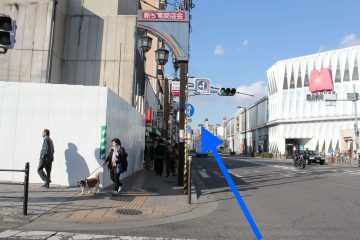 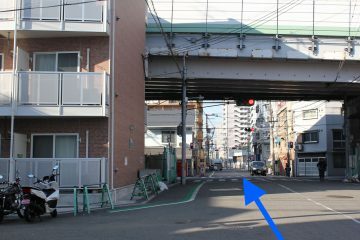 1.Go to Tutenkaku tower exit(East exit) and turn left. 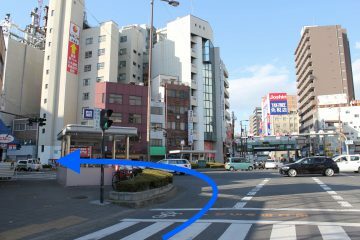 5.Turn left at Ebisucho sta. 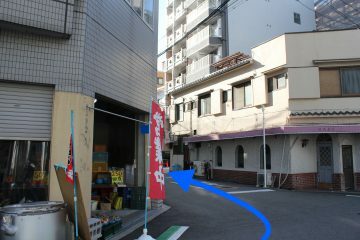 8.Vegetable shop corner turn left.